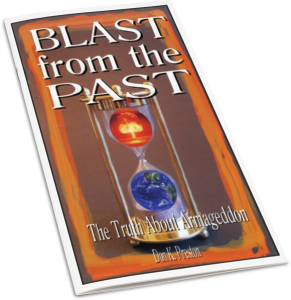 A great book proving that the Great Tribulation is past! In this article addressing the question: The Great Tribulation, Past or Future?, Terry Cropper shares some great historical and Biblical evidence to show that the Tribulation was a first century event, just as Jesus foretold. Be sure to read the previous two installments here and here. This is good stuff! Matthew 24:7 and there shall be famines, and pestilences…. It should be noted that some of the best manuscripts omit the word “pestilences” in this passage. Nevertheless, where there is famine, there is always pestilence. Both the Bible and the historians of the day show that indeed famine and pestilence did occur before the time of the end. The Bible speaks of famine in Acts 11:27-29. The famine was so great that the church as far away as Corinth participated in relief efforts (1 Corinthians 16:1-5, Romans 15:25-28). The historians of the day wrote extensively about famines in that day. Secular historians such as Tacitus wrote that famine fell upon the entire Roman Empire. It was established that at one point there was no more than fifteen day’s supply of food in the city of Rome. Concerning these days of famine and pestilence Jesus said to the daughters of Jerusalem, do not weep for Me but weep for yourselves and for your children. For indeed the days are coming, in which they will say, Blessed are the barren, wombs that never bore, and breasts what never nursed!’ (Luke 23:28-29) We first read about how this was coming upon Israel when they disobeyed God in (Ezekiel 5:5-17). Matthew 24:8 All these are the beginning of sorrows. The word here signifies the sorrows and pains of a woman in grievous travail. The years of calamities that intervened before the destruction of Jerusalem were full of sorrows – Ωδινων, and pains coming upon the nation of Israel. They were only a foretaste far from being the worst to be endured. These sorrows were but light, in comparison of what was going to befall on the nation of Jews, in their dreadful destruction by the Romans Empire. During this period of tribulation many Christians were killed and hated by all nations. Both Jew and Gentile united in persecuting them. The persecution of Christians in the New Testament is an important part of the Early Christian narrative which depicts the early Church as being persecuted for their beliefs. The Persecution of Christians in the Roman Empire was the religious persecution of Christians as a consequence of professing their faith in Christ. This persecution impacted all aspects of Christian life. It is significant that Saul went to the Jewish synagogues rather than to churches in order to find the Christians. Acts 22:19 ‘Lord,’ I replied, ‘these men know that I went from one synagogue to another to imprison and beat those who believe in you.’ Acts 26:11 Many a time I went from one synagogue to another to have them punished, and I tried to force them to blaspheme. In my obsession against them, I even went to foreign cities to persecute them. The death of Stephen, the first martyr of the Church. Chapter 8 opens with the severe persecution of the Church in Jerusalem and the subsequent dispersion throughout Judea and Samaria, which led those scattered to preach the Word. There are two significant characteristics of these persecutions that should be mentioned were Jews and Gentile were included in the persecutions of the early church. Saul of Tarsus – whom most of us know by his Roman name, Paul – later came to deeply regret this persecution of the church. He later wrote, For I am the least of the apostles, who am not worthy to be called an apostle, because I persecuted the church of God (1 Corinthians 15:9). King Herod (believed to be Agrippa) executes James and imprisons Peter. (Acts 12:1-5) Paul and Barnabas are being driven out of Antioch of Pisidia. (Acts 13:44-51) Paul and Silas are flogged and imprisoned by Gentiles in Thessalonica (Acts 16:16-24). Paul and others are chased out of successive towns by Jews. (Acts 17:1-15) Arrest of Peter and other apostles, as discussed in the preceding lesson. (Acts 4 and 5.) Philip, in order to avoid arrest, left Jerusalem hurriedly and journeyed to Samaria, staying for a while in the city bearing that name, and also visiting several other places in the province. Acts 19:27-28:30 In his final journey to Rome, Paul is taken by Jews in Jerusalem to be killed, but is rescued by Roman soldiers who imprison him. He testifies before the Sanhedrin (22:30-23:11), and the governor Felix at Caesarea (24:1-27) before using his power as a Roman citizen (22:29) to have his case heard by the emperor. When Paul reached Rome, there was a “sect” of Christians who were spoken against“ everywhere (Acts 28:22) If Luke’s book of Acts is not an accurate catalog of Christian persecution during the first century what is? Peter was crucified by Roman executioners because he could not deny his master again. According to Eusebius he thought himself unworthy to be crucified as his Master, and, therefore, he asked to be crucified “head downward.”Philip: Martyrdom. Simon: Martyrdom by crucifixion.or being sawn in half. Thomas: Martyrdom by being stabbed with a spear. Paul, was crucified in the Neronian persecution, A.D. 67,68. In his epistle to the Galatians, Paul indicates several times that the Jews have persecuted Christians, beginning with his admission of his own persecution of the Christians prior to his conversion (Galatians 4:29) and ending with his suggestion that he is presently being persecuted because he no longer preaches circumcision (Gal 5:11). In Paul’s second epistle to the Corinthians, he asserts that he had been persecuted by the Jews on numerous occasions. 2 Corinthians 11:23-26 Are they ministers of Christ?—I speak as a fool—I am more: in labors more abundant, in stripes above measure, in prisons more frequently, in deaths often. 24 From the Jews five times I received forty stripes minus one. 25 Three times I was beaten with rods; once I was stoned; three times I was shipwrecked; a night and a day I have been in the deep; 26 in journeys often, in perils of waters, in perils of robbers, in perils of my own countrymen, in perils of the Gentiles, in perils in the city, in perils in the wilderness, in perils in the sea, in perils among false brethren. The tribulation and persecutions of the early Church arose out of, or were closely related to, the events during the first century. Therefore, if we are to understand these events, we must first become aware of what was taking place at that time. All this happened during Jesus contemporary generation. Thus, once again, the question: The Great Tribulation, Past or Future? is settled by scripture. It happened in the first century! Previous Previous post: The Great Tribulation, Past or Future?